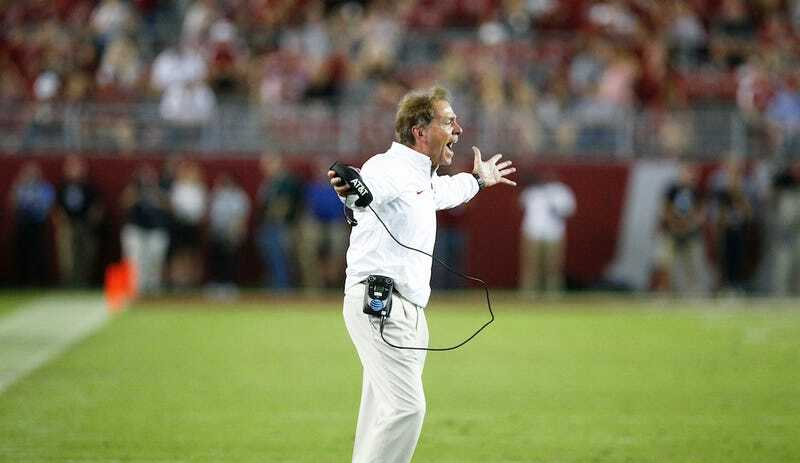 Nick Saban: What's The Deal With Jeans? Alabama football coach Nick Saban, a man who won’t even crack a smile while his team is beating some cupcake by 31 points, began Wednesday’s press conference with a quick little bit for the assembled media: Jeans are crazy these days, right? Not to offend anybody out there, but I just walked by some jeans. Wore-out jeans. Holes in ‘em. All cut up. I just remember when I was a kid in West Virginia, I was ashamed to go to school because my jeans were wore out. Only because we didn’t have any better. Now they buy ‘em that way. I just can’t figure—how did we get here?